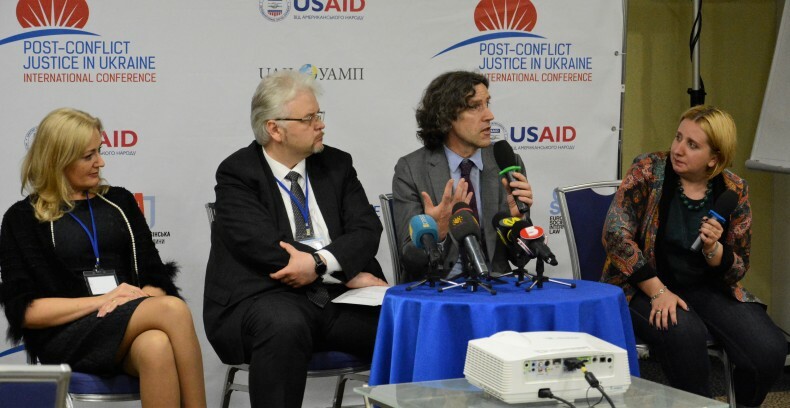 Yesterday in Kyiv, the International Conference “Post-Conflict Justice in Ukraine” began. During two days in Kyiv, more than fifty reputable scientists and experts have been discussing the implementation of international law standards in the field of human rights and international humanitarian law during and after the armed conflict. 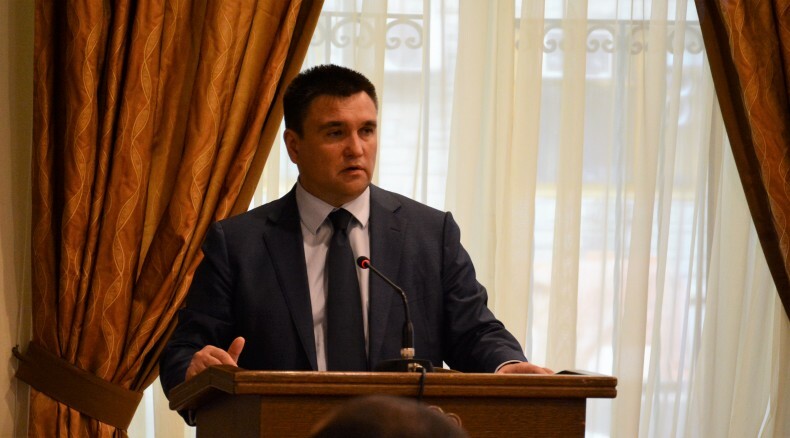 The event was organized by the Ukrainian Helsinki Human Rights Union, the European Society of International Law, and the Ukrainian Association of International Law. At the opening of the conference, Marie Yovanovitch, the U.S. Ambassador to Ukraine, Pavlo Klimkin, Minister of Foreign Affairs of Ukraine, who conveyed greetings from the President, André Nollkaemper, President of the European Society of International Law, and Arkadiy Bushchenko, Executive Director of the Ukrainian Helsinki Human Rights Union, and Mykola Hnatovskyi, President of the European Committee for the Prevention of Torture, delivered their speeches. The US Ambassador told about the very important topic of the Conference and welcomed the organizers and participants. “We applaud the government for approving its plan for maintaining ties with the temporarily occupied territories, but it needs to be implemented. But we also need to prepare for reconciliation after the conflict. 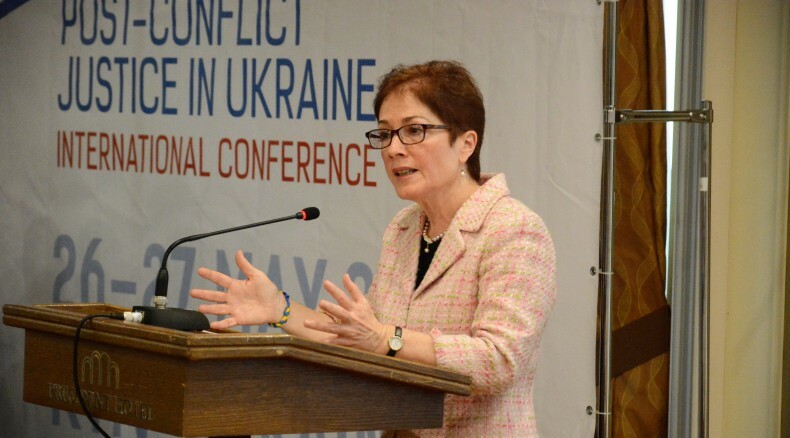 I am pleased that USAID is working with the Ukrainian Helsinki Human Rights Union to prepare for this post-conflict transformation period.’ said Marie Yovanovitch. André Nollkaemper, President of the European Society of International Law, noted that understanding the situation, in which Ukraine is now, the task of the conference is to provide the opportunity for lawyers from different countries to give their expert views concerning the Ukrainian situation, on the one hand, and, on the other, to get familiar with international experience which can be helpful. During the first day, a number of discussion panels and presentations, including those dedicated current challenges of transitional justice, truth commissions in Ukraine, reparations for victims of the armed conflict etc. were held. 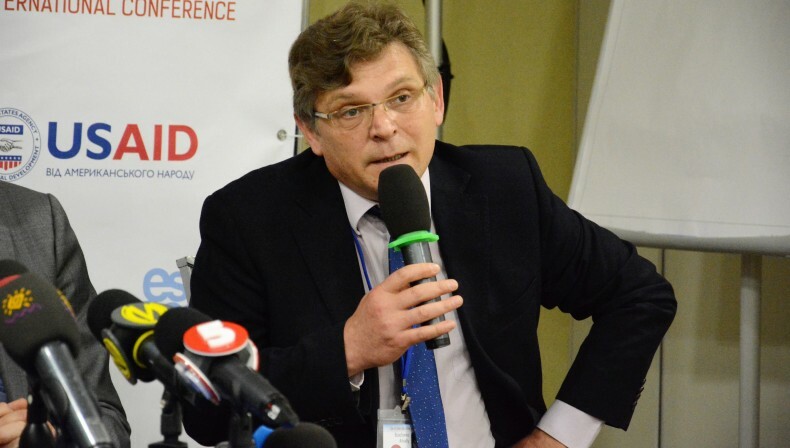 Speaking about the anticipated end of combat operations in Ukraine, Arkadiy Bushchenko, Executive Director of UHHRU, noted that the choice of path to victory would depend on the discussions, how we see peace after the armed conflict. Therefore, in his opinion, expert debate on post-conflict justice are extremely relevant now. At the end of the first day after the panel discussion, a presentation of the book dedicated to events in Ukraine after 2014, written by Sergey Sayapin, a researcher from Uzbekistan, was held. At the end, the audience listened to a Skype lecture of prominent international law professor M. Cherif Bassiouni dedicated to future trends in post-conflict justice. The moderator of the discussion was Anna Yudkivska, a judge of the European Court of Human Rights Anna Yudkivska.